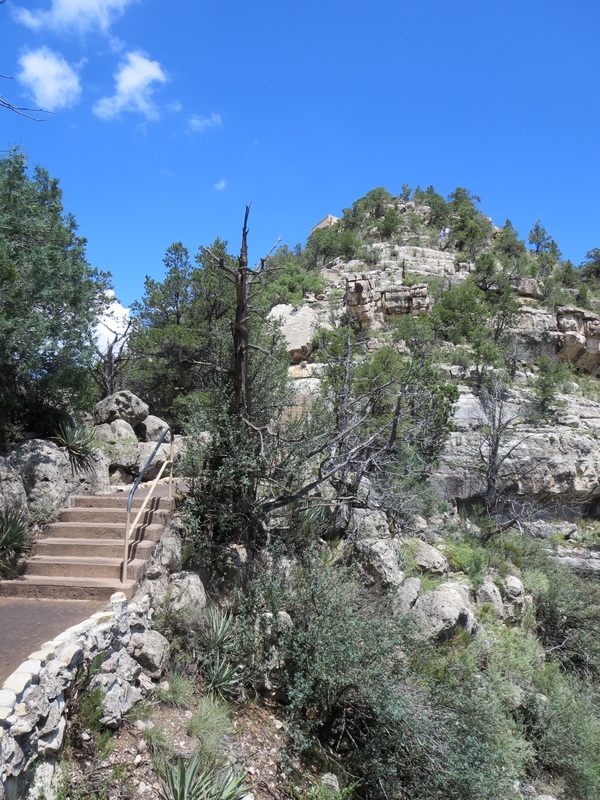 Viewing the cliff dwellings at Walnut Canyon National Monument requires a 0.9-mile walk and a climb of 185 feet up 240 steps at an elevation of just less than 6,700 feet. It's a nice walk for visitors who are reasonably fit. The 24 cliff dwellings were built in the limestone cliffs from 1125 to 1250 A.D. The Sinagua native people moved away to new villages after 1250 and it is believed they assimilated into the Hopi culture. The Hopi called them Hisatsinom or "the people of long ago," according to the National Park Service. 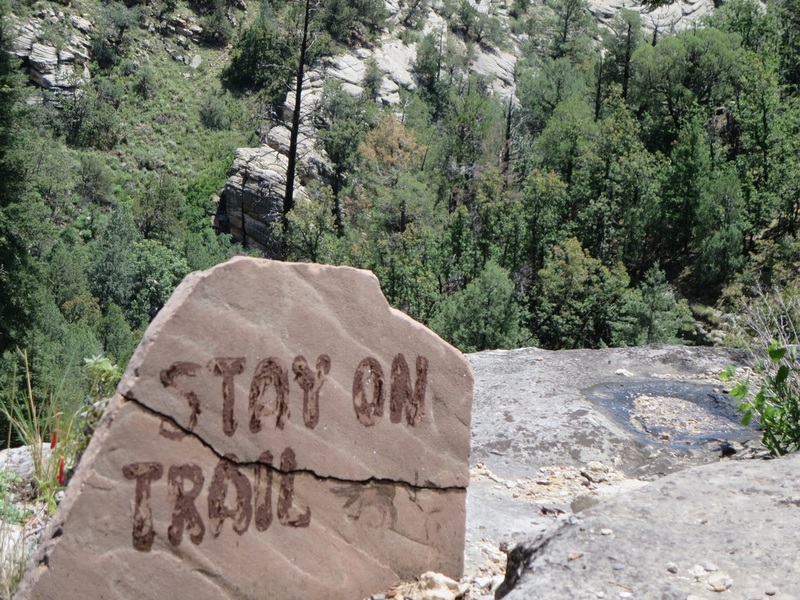 Walnut Canyon's Island Trail closes at 4 p.m. daily. ​Park admission is $8. The park is 7.5 miles east of Flagstaff at Exit 204 on Interstate 40 and it's 3 miles south to the visitor center. 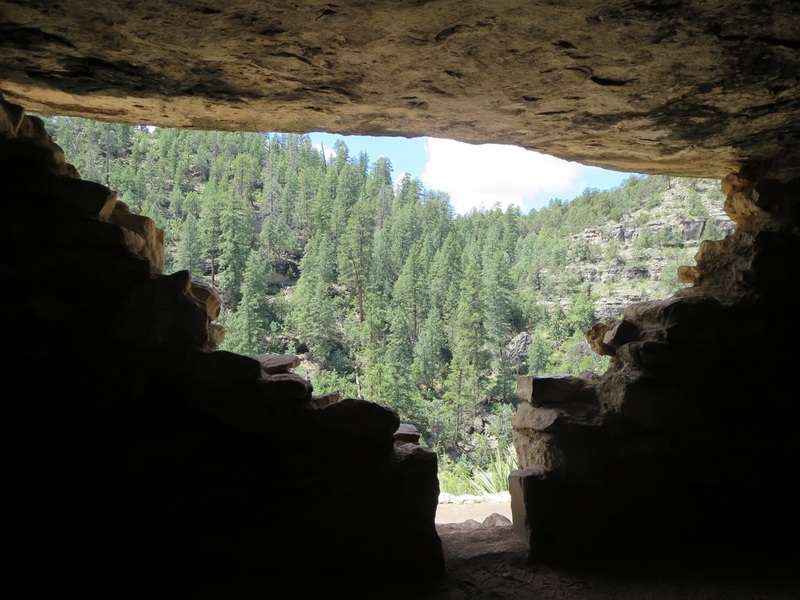 Looking out on the Ponderosa pines from a cliff dwelling in Walnut Canyon National Monument east of Flagstaff. Visitors can tour the ruins on a loop trail.